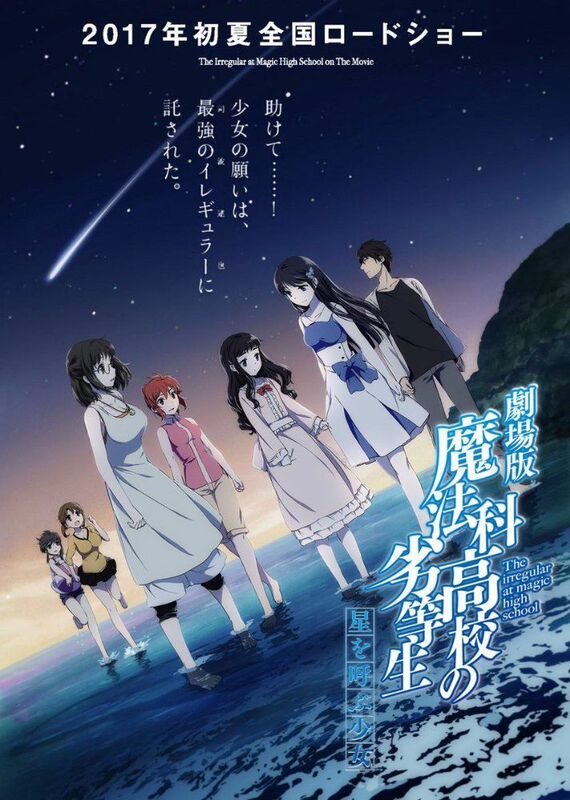 The Irregular at Magic High School The Movie: The Girl Who Calls the Stars (劇場版 魔法科高校の劣等生 星を呼ぶ少女, Gekijōban Mahouka Koukou no Rettousei: Hoshi o Yobu Shōjo) is a 2017 Japanese animated film based on the The Irregular at Magic High School light novel series written by Tsutomu Satō. The film is produced by 8-bit and directed by Risako Yoshida, featuring an original story by Satō and music by Taku Iwasaki. The movie events will unfold between the 10th and 11th volumes of the original novel and the film itself was released in Japan on June 17, 2017. Read more on Wikipedia.